The City of Altamonte Springs and XL 106.7 FM are partnering to present the 23rd annual Red Hot & Boom festival on Tuesday, July 3, 2018 at Cranes Roost Park in Uptown Altamonte. Here’s what you need to know before attending this year’s Red, Hot & Boom. 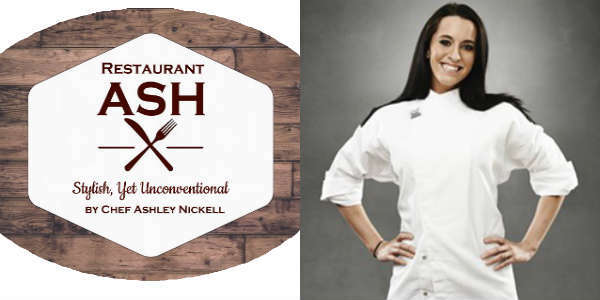 The former Funky Monkey Wine Company space on Mills Ave is again changing to another brand, as the owners of FMI Restaurant Group are partnering with Hell’s Kitchen contestant Chef Ashley Nickell to open Restaurant ASH. In this week’s dining news round-up, Dragonfly Robata hosts a sushi class, Cask & Larder’s brunch extension, new openings, plus much more. Ready? Dragonfly Robata Grill & Sushi will be hosting their second Behind the Knife: Sushi Class on Saturday, December 19. 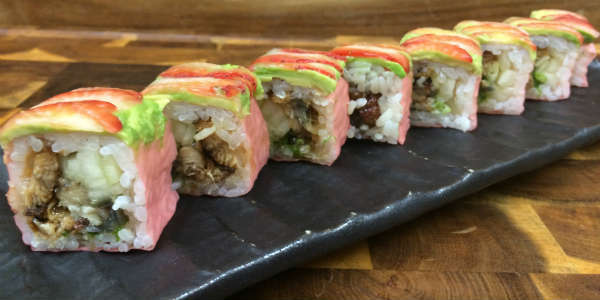 Cost is $60 per person and during the course, Chef de Cuisine David Song will provide his students with the tips, tricks and techniques it takes to make perfect sushi rice, and how to recognize sushi-grade fish based on color, texture and smell. Saxophonist Steve Cole will play the final concert in the 2013 Jazz Jams Uptown concert series in Altamonte Springs on Saturday, September 21. Cole is one of the most celebrated players in contemporary jazz, having sold hundreds of thousands of albums worldwide and scored several #1 hits. His newest CD, Pulse, was released on September 17, 2013. This free concert will take place at the Eddie Rose Amphitheater at Cranes Roost Park. The show starts at 7pm, and Matt Shenk will be the opening act. Cranes Roost Blvd. will be closed during this event. No pets, bottles, food, alcohol or coolers may be brought into the park. Cajun and Creole food fans on the north side of Orlando now have a second Tibby’s New Orleans Kitchen to enjoy, with the opening of the Altamonte Springs location. Created by the minds behind the popular Tijuana Flats eateries, Tibby’s first opened in Winter Park a little over two years ago. The menu, as one would expect, is full of New Orlean’s goodies, including Muffuletta, Andouille sausage jambalaya, gumbo, and crawfish etouffee. Their Po-Boys even use Gambino’s French Bread, shipped in from the Big Easy. 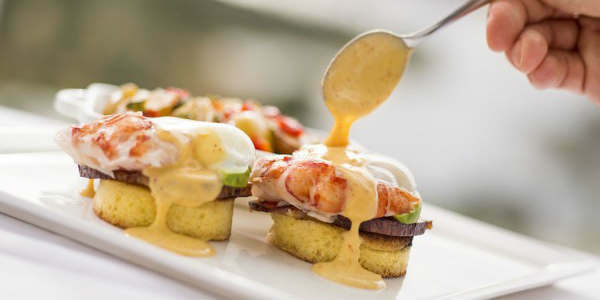 Prices are reasonable, too, with most entrees and sandwiches in the $9-$14 range. The new location is at 494 W SR 436 in Altamonte Springs. The original can be found at 2203 Aloma Ave in Winter Park. WLOQ 102.5 and the City of Altamonte Springs are joining together for Jazz Jams Uptown featuring Nils and Mike MacArthur on June 15, at the Eddie Rose Amphitheater in Crane’s Roost Park. Sharing the stage will be saxophonist Mike MacArthur, who released his newest CD, “Feels Like Home,” this month. It features 10 tracks of jazz standards and originals, produced by Grammy-nominee Brian Bromberg. The concert will run from 7pm to 10pm, and is free to attend. Cranes Roost Blvd. will be closed during this event, and no pets, bottles, food, alcohol or coolers may be brought into the park. Travelocity recently named Orlando as the #1 destination for the upcoming Fourth of July weekend. If you’re going to be in town, here’s a list of some of the celebrations happening. Red, Hot and Boom takes place Sunday, July 3, at Crane’s Roost Park. This annual fireworks show is enhanced by an all-day concert presented by WXXL-fm radio. This year’s musical line-up includes Paper Tongues, Mat Kearney, Shontelle, Cody Simpson, Hot Chelle Rae and All Star Weekend. The concert starts at 4pm and the fireworks at 9:30pm, but if you want a place to sit anywhere, you’d best get there in the early am because this free show is usually attended by over 100,000 people. The city starts with a Fourth of July parade at 9am. The festivities resume at 5pm with Celebration Town Center’s “A Flashback 4th of July,” an 80’s-themed event featuring music from that decade played by Kattyshack and a live DJ, headlined at 8:30pm by A Flock of Seagulls. 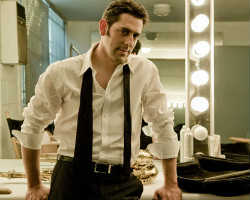 Fireworks are at 9:30pm, and the whole event is hosted by actor Justin Smith (“Vampire Diaries”; Meet the Spartans). It’s free to attend. The City of Orlando is hosting the annual Fireworks at the Fountain from 4pm to 10pm on July 4. There will be food, live entertainment and fun for the whole family, around Lake Eola Park, culminating with fireworks at 9:30pm. A special performance of the “Reflections” show featuring expanded fireworks set to patriotic music will start after dusk. Free with park admission. The Fourth of July celebrations will start with a sunrise hot air balloon launch at the lakefront. It will resume at noon with live entertainment, games, kids events and more. The city of St. Cloud will then launch fireworks over the lake at 9:30pm, for this day-long free event. On July 4, the Studios side of Universal Orlando will present the Universal360 show, starting at 9pm at the lagoon. Margaritaville’s Blue Stone Circle will also be performing from 5pm on at the Music Plaza Stage inside the park. Free with park admission. The park will present a special showing of “Disney’s Celebrate America! A Fourth of July Concert in the Sky” fireworks at 9pm on July 3 and July 4. Free with park admission. DHS presents “Rockin’ 4th of July Celebration” with fireworks and a special light show set to live music performed by Mulch, Sweat, and Shears, starting at 9:45pm on July 4. Free with park admission. The park’s regular “IllumiNations: Reflections of Earth” laser light and fireworks show will be extended with “The Heartbeat of Freedom,” a special overture of traditional Americana themes, July 4, starting at 10pm. Free with park admission.